ReadyBoost in Windows Vista can be used to boost system’s performance when more RAM is required and cannot be upgraded due to some reason. You can use Flash memory devices such as Pen drives to ReadyBoost your system. To know more about Windows ReadyBoost please read this article- Why Windows Vista is more efficient in managing system memory than Windows XP. 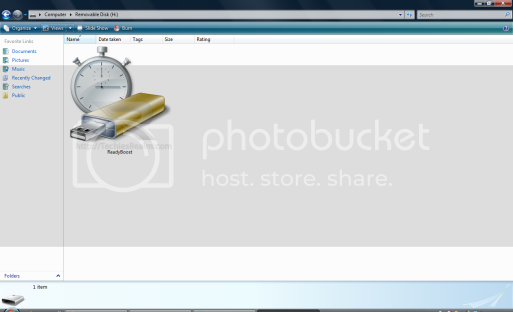 To use ReadyBoost on your system you first need a compatible flash memory device. I am using a 2 GB pen drive. Insert the device in the USB port. If autoplay is enabled, a dialog will pop up. It’ll give you various options. 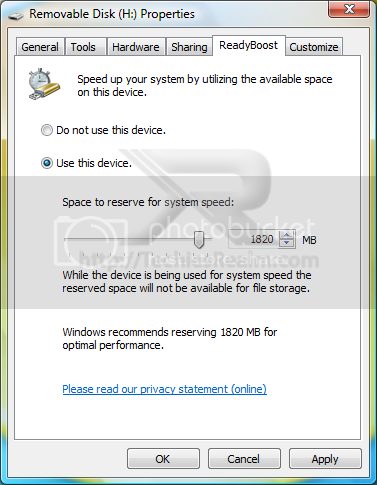 Click on Speed up my system using Windows ReadyBoost. 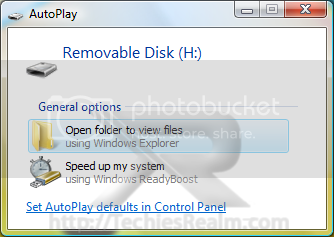 If autoplay is disabled, right click the flash drive in Computer/Explorer & click ‘Properties’. Now from the tabs select ReadyBoost. Click use this device in the window & change reserved space if required. I suggest you use the recommended space by Windows. Click on ‘Test‘, if it appears on the bottom of Window to test whether the device conforms to the requirements of ReadyBoost. Click OK and your device is now ready to boost your system. Now if you open the device in Computer you’ll see a file with ReadyBoost icon. This is where Windows will store the small files to boost system performance. This file is encrypted with AES-128 level of encryption & you need not worry about its security.